this post has been sitting in my blogger "almost ready to post" file for awhile, but was having problems getting the photo to upload. my friend joel out in SF got doored today. thankfully he was ok, but thought i should go ahead and get this up! so riders, don't get too close to parked cars. 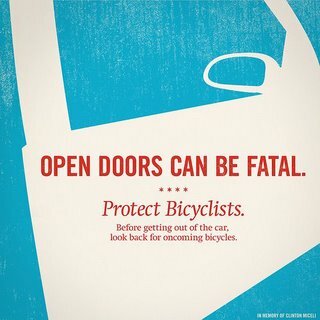 and drivers, look back before you open your door!